Analysing the latest auctions is an excellent way to identify new trends or to reaffirm well-established movements. 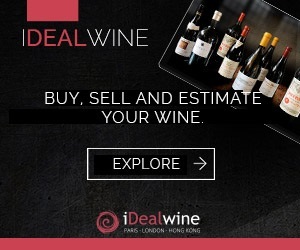 iDealwin’s September sales have confirmed the star status of certain wines at auction, for instance the domains Raveneau and Georges Roumier. Lesser-known rising stars are also emerging. During our September auctions, bidders from the four corners of the world were particularly motivated to win – at all costs! – the finest wines. Wine lovers in Asia reaffirmed their taste for the most specialist wines, known only by true connoisseurs. This was the case for a bottle of Cote-Rtie Dolium from Domaine Benetière: a tiny, organic domain of 3 hectares, who follow traditional methods (no destemming, ambient yeasts, no punching down or pumping over, élevage on 18 to 22 months with only a little new oak, bottling with neither fining nor filtration). A real hidden gem of the Northern Rhone, whose finesse, elegance and purity is incomparable. In the 2012 vintage, it went for €486. Back to the classics, château d’Yquem had much success in this auction, with its (usually stable) prices progressively rising: the 1997 was won for €2,262 for 6 bottles (+44%), while the 2001 reached €815 the bottle (+15%). Another interesting point to note for the latest auctions: the famous cuvée of Cambolle-Musigny 1er Cru Les Amoureuses from Georges Roumier hasn’t stopped climbing in price: it went for €4,864 (+225%). This cuvée has been causing a stir in auctions for the past year. It’s worth noting that this is the appellation’s most-lusted after cru. In the Loire, fine white wines have pride of place, such as the rare Saumur from Clos Rougeard which sold for €511 in the 1989 (+35%) to a Swiss wine enthusiast. The microscopic – and very fashionable – domain Bernaudeau has been arousing the same amount of interest for the past two years: his cuvée Les Nourrissons 2015 was sold to a French bidder for €292 (+153%). 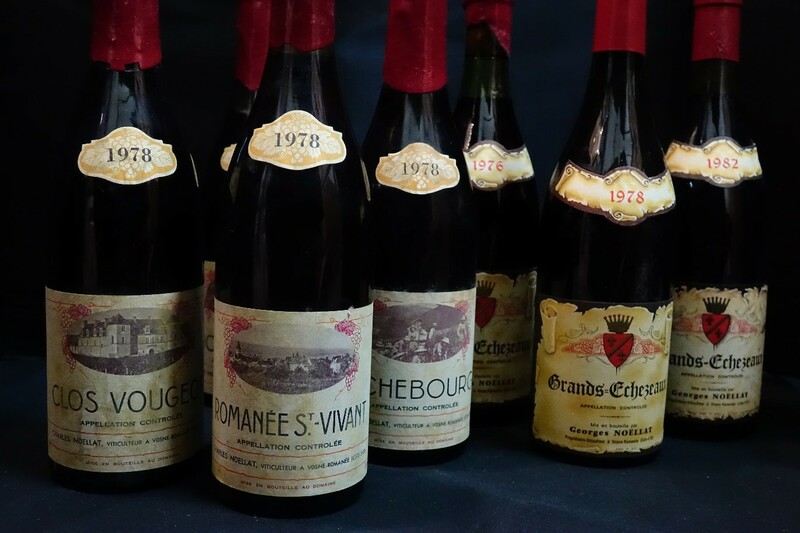 During the latest auctions, several specific catalogues were dedicated to one Parisian wine enthusiast’s private cellar, which contained some of the finest wines from each region, and particularly Burgundy. 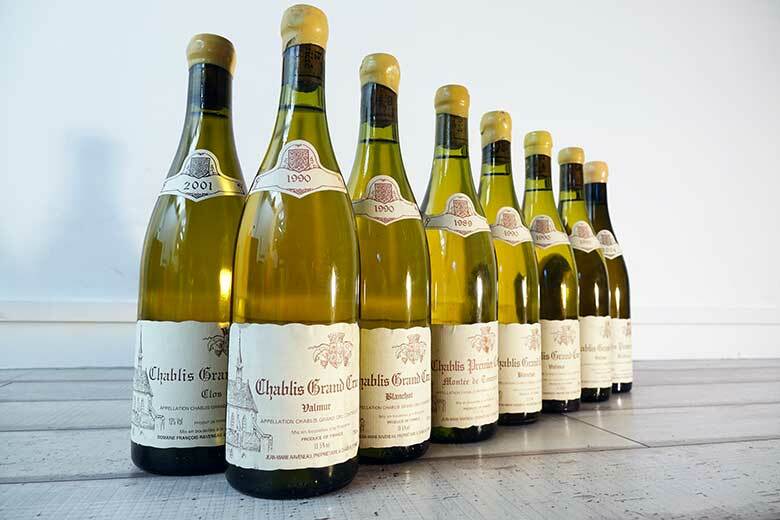 Among these treasures, we found a wonderful collection of 1990s Chablis from domain Raveneau, the most prestigious and sought-after signature in the appellation. This 10-hectare vineyard is highly-reputed the world over for its Chablis with great aging potential. Produced in the most traditional method, in the mature vintages, they combine great minerality with nice maturity and honey notes, in the personal, very recognizable style. 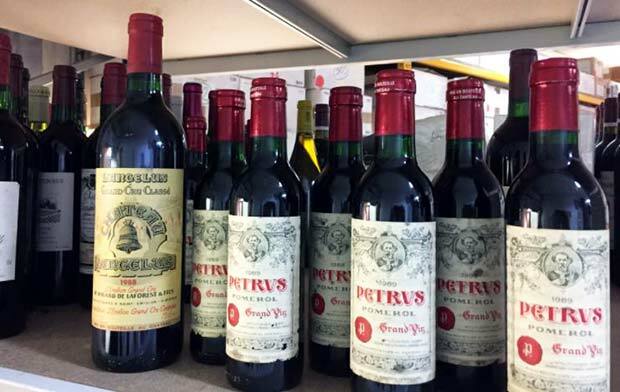 Production is limited and highly sought-after, one generally only finds his bottles on the most distinguished tables in the land… and in specialist wine enthusiasts’ cellars. The most recent auctions have therefore confirmed that Raveneau’s prices are rising, and last month prices all but exploded. We must point out that although this signature is often the talking point of wine auctions, it’s rare to see the great vintages of the 1990s. Thus, a lot of three bottles of the grand cru Valmur 1990 reached €2,274 (103%) and €1,556 (+108%) for a lot of two bottles of the same wine; the grand cru Blanchot 1990 went for €1,338 for 2 bottles (+€118) and €790 (+157%) for a single bottle; Le Clos 1995 sold for €1,228 for two bottles (+48%); the Chablis 1er Cru Montée de Tonnerre 1990 also saw its prices rising: +188% (€997 for two bottles) and for a recent vintage like the 2010, the price increase was slightly lower but still noteworthy (+61%, €851 for three bottles). 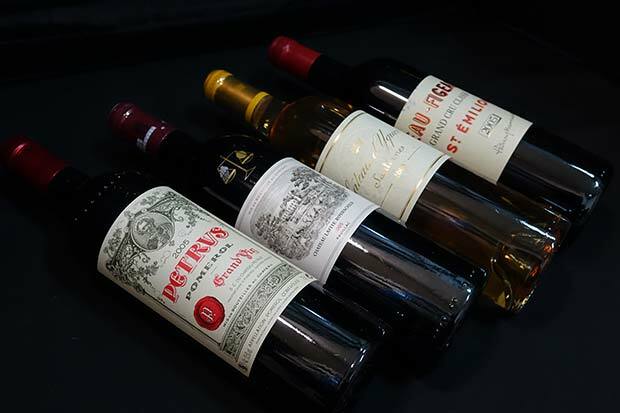 These rare bottles are coveted all over the world; they are enjoyed by French, British and Asian wine lovers alike. France, Europe and Asia, what do we drink differently?